Recorded at the Dreamer’s Lake Studios, Carciano di Stresa – Italy, 2011. 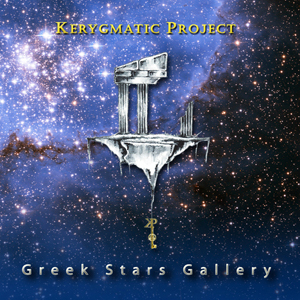 © Kerygmatic Project 2012. All rights reserved. The best greetings from Poland to all people at the Kerygmatic Project camp!. I have decided to write to you as a fan, journalist and DJ devoted to intelligent and melodic rock music. Since many years I have been running portal MLWZ (MLWZ means “Small Lexicon Of The Great Bands” English), which is the major web site in Poland that is exclusively dedicated to promotion the symphonic/progressive rock music. I co-operate with a large number of independent labels and numerous progressive bands promoting their CD releases in Poland. I try to do my best for promotion the recordings of the artists playing their recordings on my weekly radio show on local station Radio Alfa Kraków 102,4 FM. My show is 16 years old now and is on air every Wednesday between 8 and 10 pm Central European Time (7 and 9 pm GMT). It is also called MLWZ (“Small Lexicon of the Great Bands”). The web site address of my portal and radio show is http://www.mlwz.pl . You can listen to the number of archive shows there (in .ogg audio format, WinAmp required) in AUDIO section (link AUDIO in the menu. English menu is on the top of thew web site). You can find there the current and archive playlists of the shows, links to the bands/artists/labels, the reviews I wrote for Polish edition of Metal Hammer magazine, news and other progressive stuff. On the MLWZ show, I am presenting the Seventies bands which have sparked the imagination of music lovers playing progressive rock, art rock or symphonic rock. But the MLWZ show features first of all the younger artists. Not only Marillion, Pendragon, Galahad, IQ or Pallas but most of all debut bands and the ones which can currently boast the most interesting albums.The playlist always comprises plenty of new music exclusive to the MLWZ show, which in many cases means the tracks before their official release. Only on the MLWZ you can listen to albums currently not available for sale in Poland. It was the MLWZ show which featured Spock’s Beard, RPWL, Mostly Autumn, Karnataka, Asgard and many others on air for the first time. Apart from new albums, each show features Art Rock oriented news, music memories with a Classic Track Focus, interviews and special guest talks with Polish and international artists. My another activity for promotion progressive rock artists is the cooperation with Polish edition of Metal Hammer magazine. Since 1995 every month I write the articles and the reviews of progressive albums. The reviews are exclusively in Polish and you can easily find them in Polish Menu (on the left side of the web side) in the RECENZJE section. You can find particul reviews by writing specific name in the window “filtr” or “search/szukaj”. I am very keen on keeping in touch with you. Recently I have read very interesting opinion about “Greek Star Gallery” album from a friend of Mine (Michael). I visited your web site and it all seems very promising and I know that your current album is absolutely not available in Poland and that’s why I am applying to you with very kind request about sending me the promotional and complimentary copy of it. Can you help me with it, please? I am very anxious about hearing your music after all these good things which I have read in the review. I want to use your album for the radio promotion and spreading the word about your musical activity amongst Polish listeners of progressive music. Is it possible to receive any further information concerning your musical/production activity? I am very interested in any detail you could give. I would highly appreciate receiving your CD with personal dedication on the booklet from the band specially for me, if possible. It would be a great boast of my private collection…And of course if you want I can send you a tape or CDR with eudio file(s) of my radio show in which your recordings will be featured. If only the review of your album appears in Metal Hammer magazine, the copy will be provided to you.